Winter seems to be hanging around this year and I am still finding myself hunkering down out of the wind in the corner of my lounge room, escaping to places not only far and wide, but set long ago. 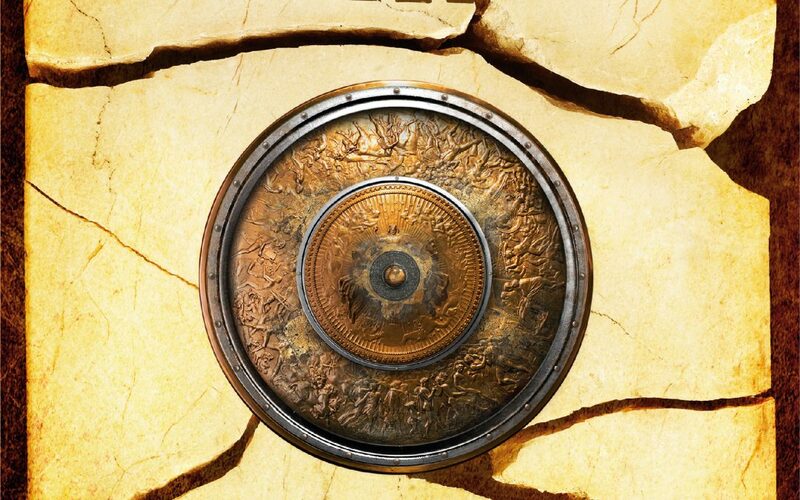 Since our last round up, historical fiction has received 39 reviews on 26 books by 26 authors. 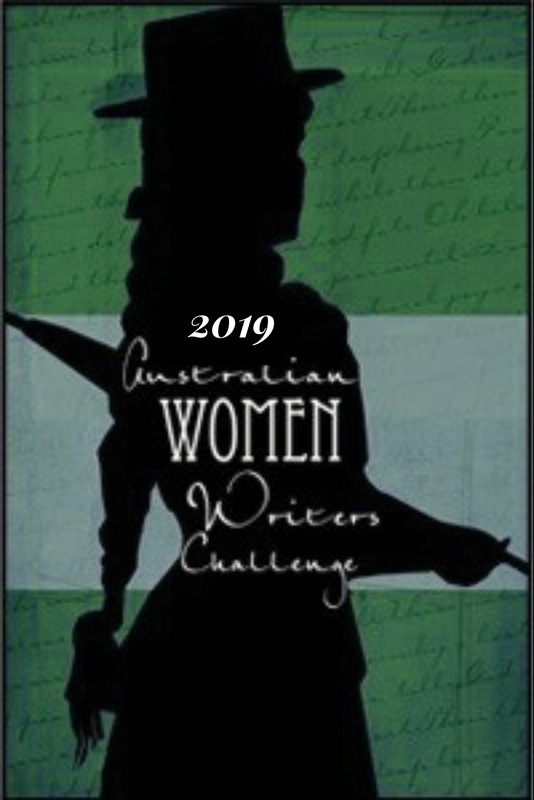 Thank you to all of you who have been flying the historical fiction banner high with your regular reviews and for taking the next step in linking them here to our database, which of course, is what makes all the difference to our challenge. Whitsunday Dawn was featured in my last round up as it had only just been released at that stage. Our other two most reviewed titles are newly released this month, so I’ll turn my attention to those now. 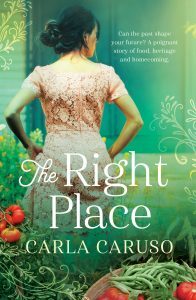 The Right Place by Carla Caruso is utterly divine, a wonderful blend of FoodLit, historical fiction and romance. I adored this novel so much I contacted the author for an intervie://www.goodreads.com/review/show/243083387w so I could dive deeper into all of the bits I wanted to know more about. You can check out my interview here. Set on a market garden, there is a strong food lit vibe to this story that had me salivating. Along with all of the vegetable pickling, pasta rolling, and passata making going on, Carla has also treated us with the inclusion of some authentic Italian family recipes. There’s something about the combination of starting over, scrumptious food, good friends, and unexpected romance that works its magic over me. 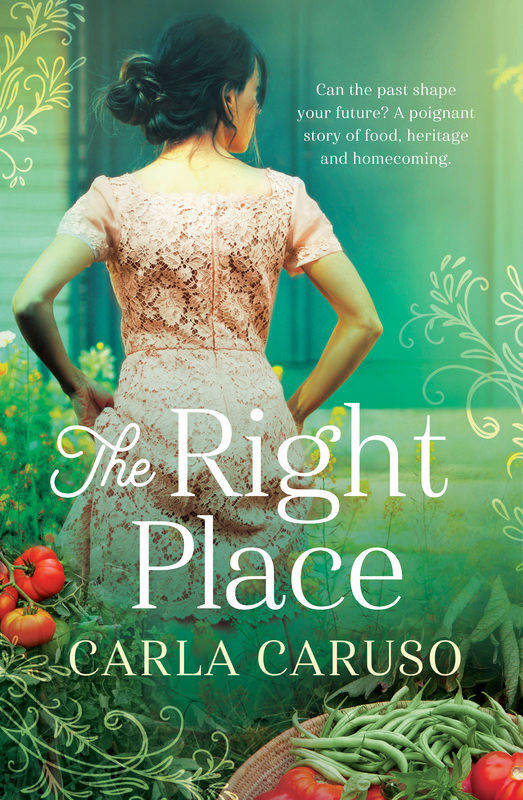 The Right Place by Aussie author Carla Caruso – wow! What a fabulous story! Laden with wonderful Italian recipes; set in areas of Adelaide that I know; The Right Place felt familiar and completely perfect. 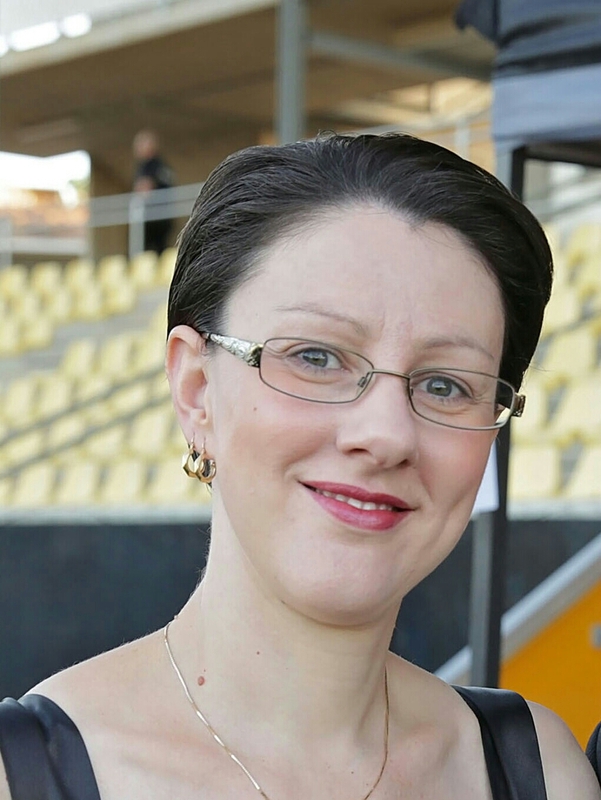 The story takes place in the 1950s and current day – all in Adelaide. It tells the stories of two women – Esta and her granddaughter Nella. The Right Place is my first by this author; it won’t be my last. Most impressed – and highly recommended. What a delightful novel! I kept wanting to chide Nella, to get her to focus on the possibilities in the present. I felt for Esta, as she tried to make sense of her new life in Australia, as she dealt with tragedy and came to terms with all the changes. I loved Esta’s traditional Italian recipes (with Nella’s notes). Was I happy with the ending? Absolutely. Will I spoil it for you? No way. Enjoy it for yourself. 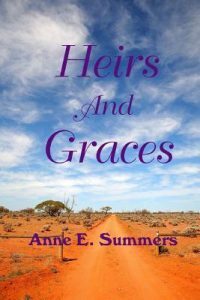 Kayte Nunn’s leading protagonists, Elizabeth in the past and Anna in the present, are both intriguing. Nunn outlines both these women extremely well and I found I enjoyed each woman’s personal story equally. It is hard to achieve this balance in dual time frame narrative, but Nunn achieves success in this area of her new novel. Elizabeth is a determined, single-minded and fearless woman. She definitely is ahead of her time. I enjoyed following Elizabeth’s incredible journey to fulfil her late father’s great quest. This was one of many reasons why I remained glued to the pages of this novel. Supporting Elizabeth is her loyal servant Daisy. I found Daisy endearing and the unsung heroine of the tale. 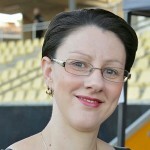 Anna, the present day protagonist, was a layered character. I enjoyed the process of unpacking Anna’s personal issues. Elizabeth and Anna are strong, willful characters whose driven presence gives the book its strength. 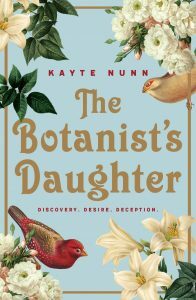 It is through these characters that the world of botany comes to life, the smells and sounds of both centuries and cities, and the scent of flowers wafts around as you read – even the unfamiliar plants and scents filter through, and come to life in the imagination. The characters in both timelines were so full of life and complexities, both linked by a love of botany, which shines through, as does their determination not to let families, times or other people define what they do and who they are – they are allowed to be themselves and – particularly Elizabeth – work within the confines of what is expected of them whilst maintaining a sense of self and individuality that springs in a lively form from the page. Ashleigh also did a fantastic in-depth interview with Kayte which is well worth checking out. 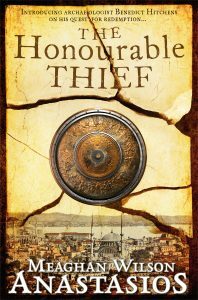 The Honourable Thief by Meaghan Wilson Anastasios heralds the beginning of a new adventure historical fiction series. I had the pleasure of interviewing Meaghan ahead of its release, which you can read here. My chat with Meaghan, along with reading the other reviews here on the database, have me itching to get into this one as soon as I can. This moderately paced adventure drama lends itself to both the Historical Fiction genre with the inclusion of the effects of war and the German invasion on the small Greek island, with Ben joining the Resistance Movement, and the tumultuous history between Turkey and Greece and Contemporary Fiction genre as Anastasios describes the people, their way of life and the vivid village street celebrations and feasts. Don’t pass this up just because you don’t read historical fiction. I would love to see this on the big screen it has all the elements of a Hollywood hit. 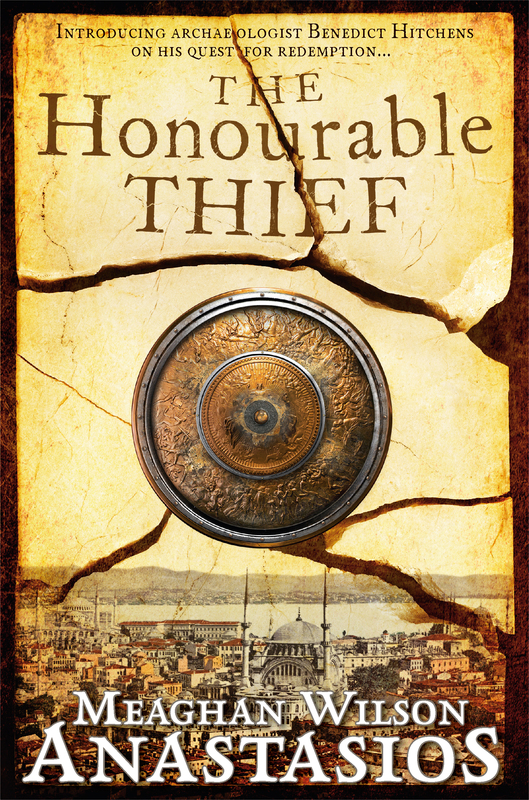 The Honourable Thief is an epic adventure of love and loss, greed and cunning, obsession and danger. Early Western Australia is depicted well in this novel. There is a very strong sense of the outback, with red dust so fine you can almost feel it in your lungs. A life-threatening bush fire brings home the harsh realities of a rural life. And the housing, transport, fashions and social attitudes of the time – with the limited, and often dangerous, choices faced by women – help bring this bygone era to life. Being a Western Australian myself, I enjoyed reading about the history of the Goldfields Pipeline from Thomas’s fictional point of view. I even learnt a few things I didn’t already know, and a myth I’d believed for so long was shown to be untrue. And that’s a wrap on historical fiction for this round up. I look forward to seeing what you all choose to read and review in the coming month and here’s hoping for a bit more spring and a lot less winter in which to read it all in. Until next time, enjoy your adventures back in time. Great round-up. I thought I’d linked a few historical fiction books this month, but anyway, I’m looking forward to getting to the botanist’s daughter. Thanks, and yes, you did link them Claire, they were there. Historical fiction just gets so many though I’ve had to put in place a formula for myself of mentioning just a select few, otherwise it just blows out. Plus, after my accidental repeat month before last, I’m mindful of not mentioning the same books again, even if they were really popular. Thanks Amanda! At least we have too many to choose from rather than not enough! It’s a good thing, for sure! Enjoyed this round up Theresa. It’s fascinating isn’t how many books – novels and biographies – have been coming out in recent years about botany and women. I love the title Heirs and graces!